Maracuja Creaseless Concealer—This concealer goes on thick and won't budge all day. You can use it under your eyes or to cover blemishes. LipSurgence Natural Lip Luster in Sweet. It looks frosty in the pencil, but goes on sheer and offers a hint of minty flavor. Lights, Camera, Lashes! Mascara—this is the only product in the kit that's not a home run. It's a great mascara, but smudges easily, making it not ideal for the beach. 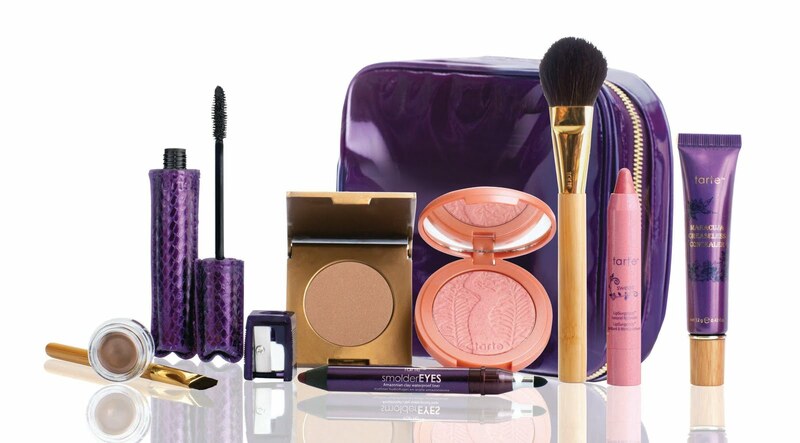 All the products come in a slim purple case. It really is everything you need for a weekend at the beach. Did we mention it's a bargain? From now until July 2 it's $49.94, a savings of $150+ on QVC.com! Hi! Very excited about the value set, but I noticed that the Park Ave bronzer is NOT pictured or mentioned on the QVC website. In fact, it specifically calls it the 8-piece set - is it no longer included? On the press release, the oil is listed as a gift. Hope that helps! does anyone know what the name of the blush that is included in the october A-D? i saw the pics on qvc.com but it didn't say what the colors were.